How About Working on Your Running Form for Next Season as a Goal? Don’t limit your goals to one particular dimension, such as performance. Think holistically, as the success (and enjoyment) of your season is dependent on many aspects including your level of commitment, nutrition, strength training, cross training, recovery, rest, etc. Set up checkpoints along the way. Too often we set our goals as objectives to achieve at the end of the season. The problem with this is: A) It’s a long time to wait to achieve success and it can be hard to stay motivated for a long time B) The risk of something interfering with that end-of-season goal is high. Why set yourself for disappointment? Setting up smaller goals along the way is both motivating, and can also act as a gauge for how well the plan is actually going. Plus it’s easier to incorporate the various elements discussed above. Continue getting stronger as you set your goals! Thanks Jenn! 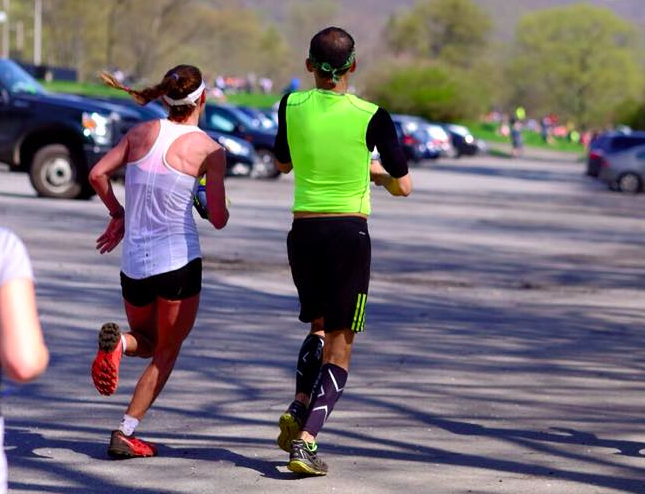 I’ve worked with Jenn on setting shorter, non-performance based goals this running season and truly enjoyed the process and also reaped the benefits. Specifically, I trained for a half-marathon but couldn’t dedicate too much of my time to running during the week as I started building a business and was adamant on maintaining my yoga and spinning cross-training schedule of at least once a week. By focusing on nutrition, including weekly cross training exercises as well as quality-based, shorter runs with only 1 long run, I achieved my most important goal of reducing the overall running and training time which surprisingly, resulted in increasing my overall enjoyment of the sport. I was even looking forward to doing hill-repeats! 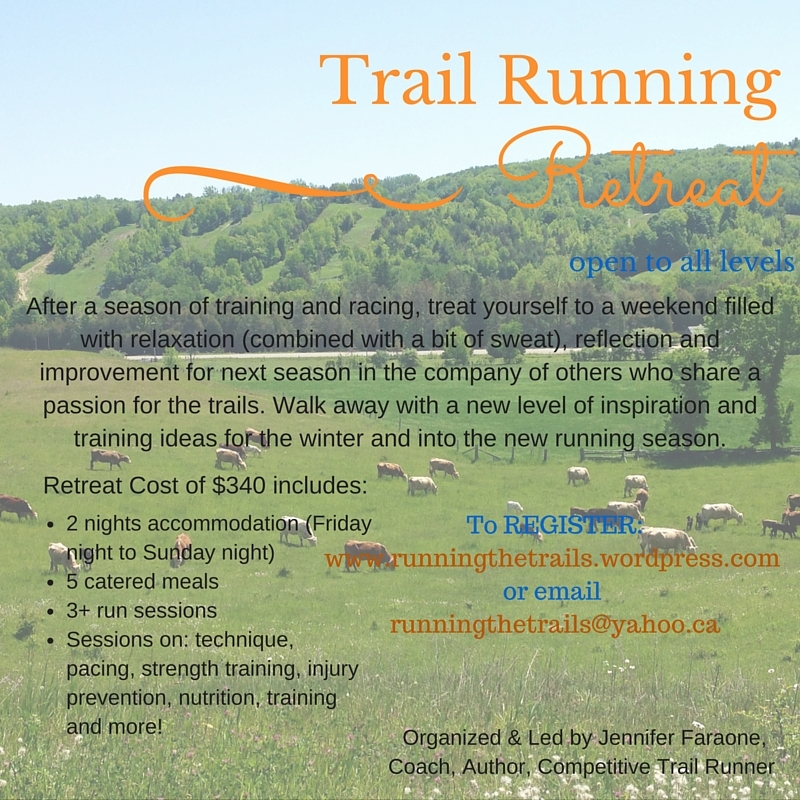 Jenn is having a trail running retreat in Ontario from Friday, October 2nd to Sunday October 4th. 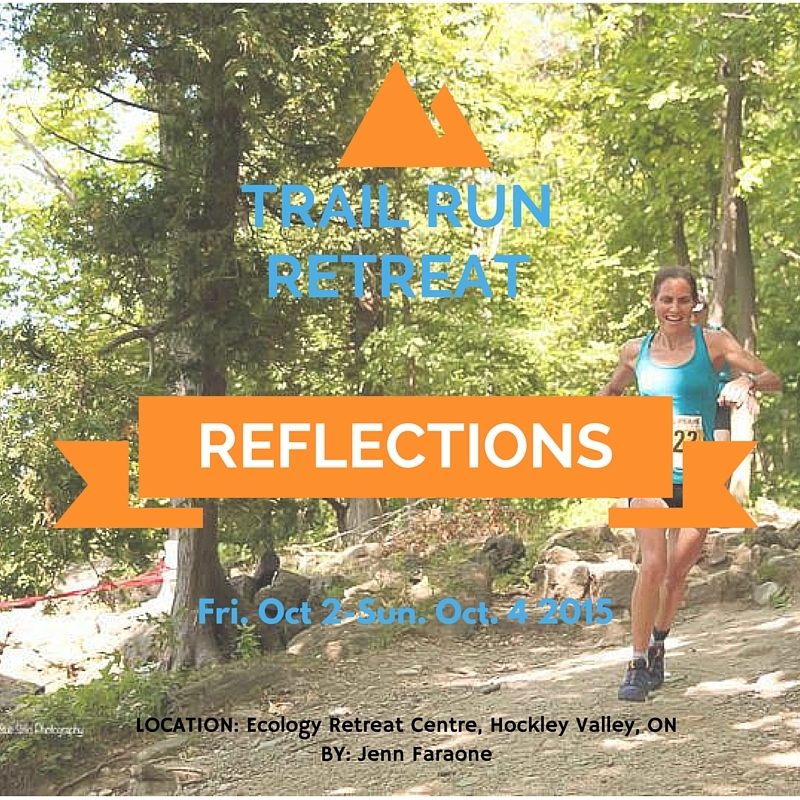 Join like-minded runners to reflect on your past achievements and goals, strategize for next year and learn something new about trail running. All levels of runners are welcome! The retreat was terrific and I had lots of fun; I really valued Jennifer’s instruction and her great coaching; She sets an inspiring example and I came away with renewed energy and greater motivation for my training. 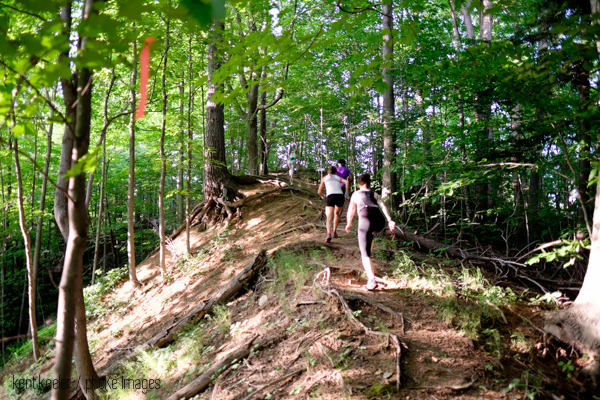 Training ideas and views from trail runners of all distances and mindsets! I’d like a bio and my own personal blog section too on RBR… since I actually contribute quite a bit AND got 50 likes in total now! go me go!